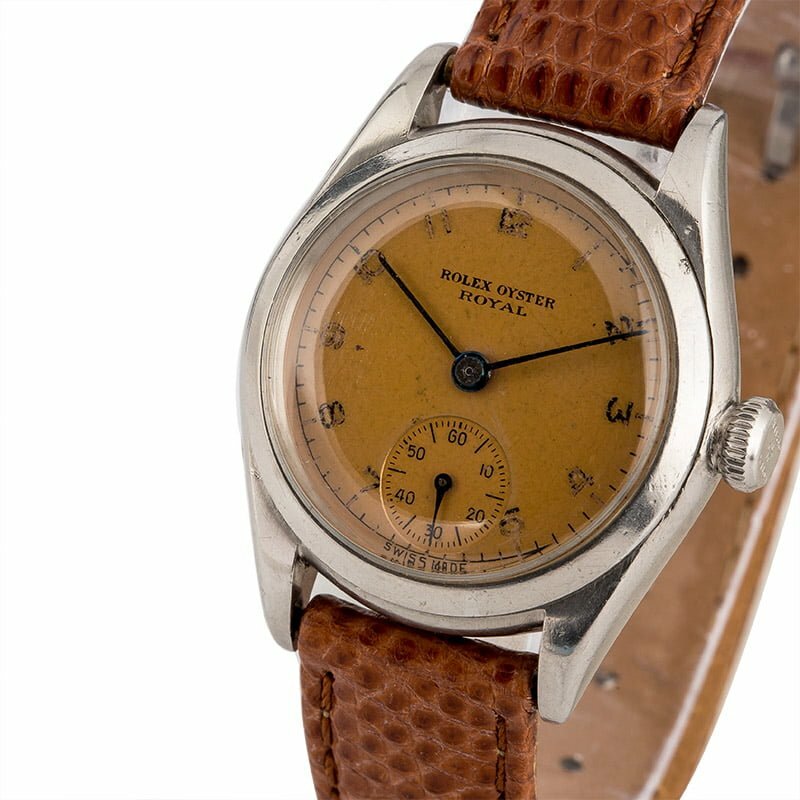 The men's Rolex Oyster Royal is a fascinating vintage timepiece. 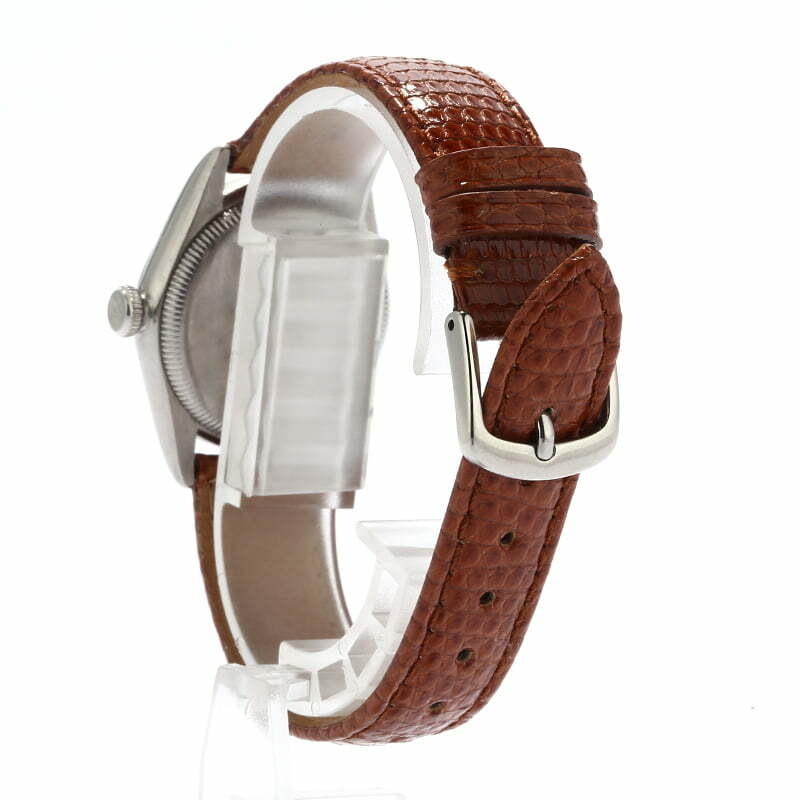 Its feature set includes a modest size and weight via a 28mm stainless steel Oyster case with a smooth bezel and a complementary leather strap. As an older pre-owned Rolex, the Oyster Royal is also accompanied by an acrylic crystal. 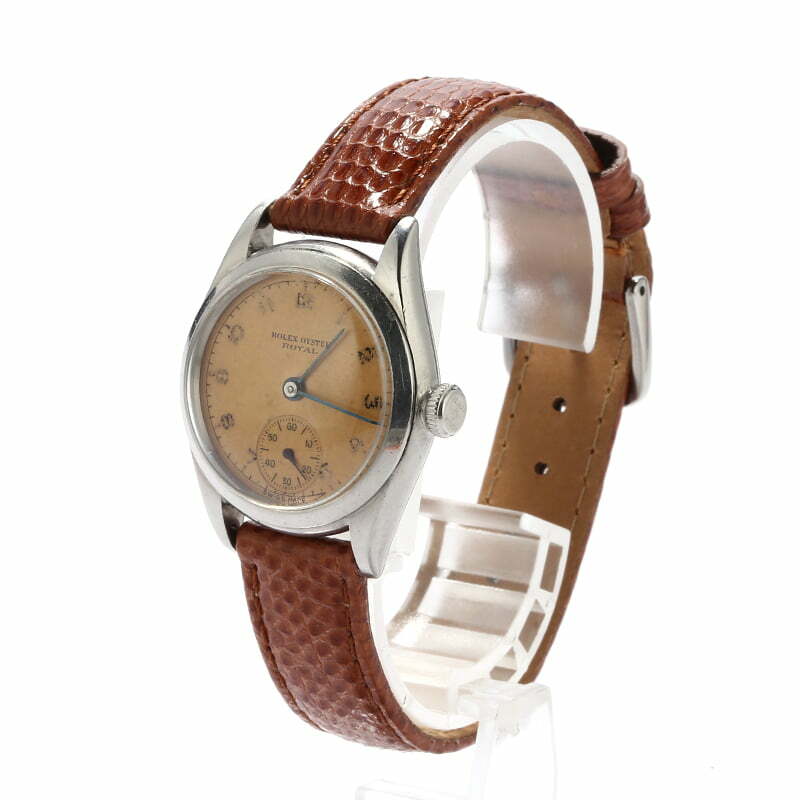 The time is displayed on an Ivory dial with aged Arabic markers, long, sleek hour and minute hands, and a seconds register just above the 6-hour marker. 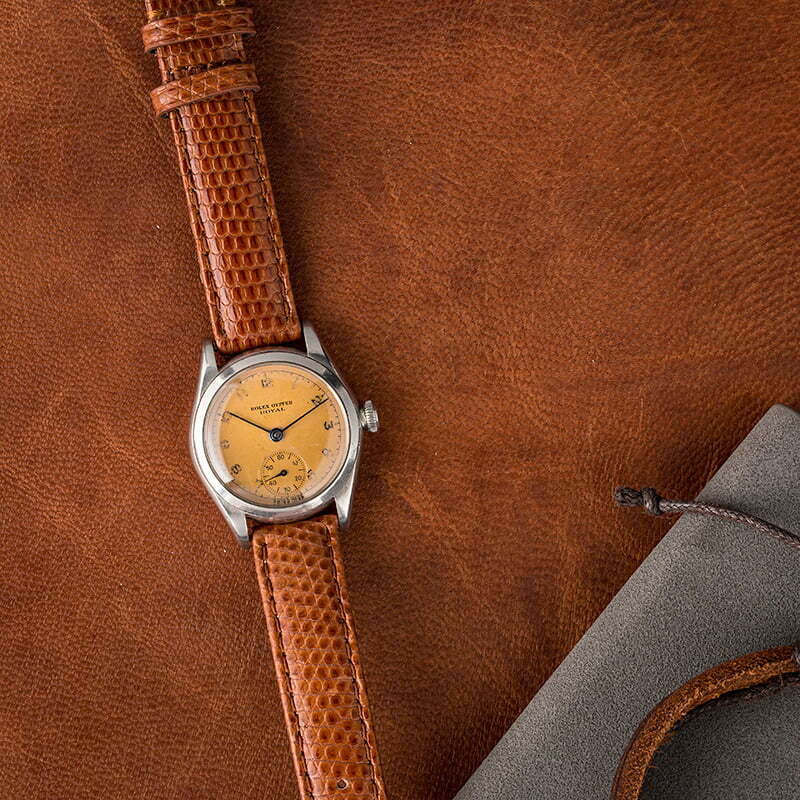 While a mint vintage Rolex has its redeeming qualities, there is something to be said about a watch that has been cherished and worn regularly through the years. The history and character that accompanies a Rolex such as the Oyster Royal that is presented here today is very desirable on the secondary market.